Physical anniversary gifts are perfect, but if you are a couple that prefers experiences there are many activities which you should definitely carry out with your partner! Experiences will never be lost which is why if you are not sure what to do for your anniversary and are feeling like doing something different you should check out the options found below! Firstly, there are experiences that are calm and romantic and secondly there are more adventurous gifts which you should definitely think about if you are daring and feel like having a day you will never forget! 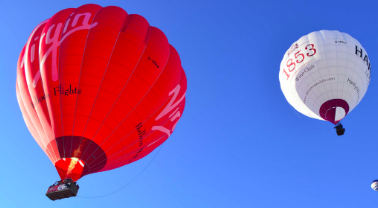 Hot air balloons are an extremely romantic but fun way of celebrating your anniversary. If you are looking for something out there but not too crazy, this is a great option. Imagine being alongside your partner watching the sunset whilst sipping on a glass of champagne… Choose from a range of romantic gift packages! Go on a pleasure helicopter flight with your partner in Surrey followed by a nice lunch! This way you get to carry out a fun and exciting activity and then have time to also chill and sit down together whilst eating delicious food! It comes down to 150 pounds, which including lunch and a helicopter ride is a pretty great deal! A chocolate making worksop is a great option for an anniversary activity! 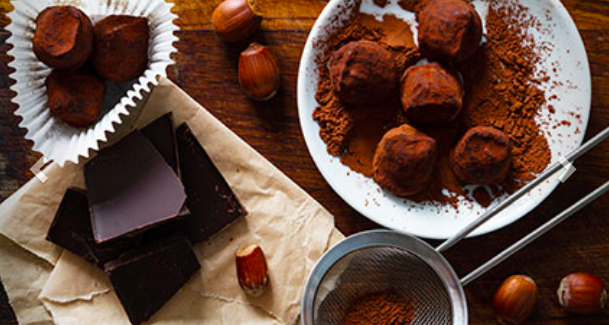 Not only will you be with your loved one, but you will taste delicious chocolate and learn how to make it! It could be a very fun experience! On your anniversary day, you could choose to live like the royals! Get away from your everyday life and start your day off by going to Buckingham palace. After this, go to the Grosvenor Hotel where you and your partner will have a luxury afternoon tea waiting for you! If you need a proper relaxing day without any worries, make sure to book this wonderful luxurious moroccan spa day. You will get to enjoy the proper experience and forget about everything else that is going on. You can end this spa day with a traditional Moroccan tea. This experience sounds very calm and soothing! This is an extremely fun option if you want to do a daring activity but are not yet ready to try skydiving outdoors! It also means that regardless of the weather, you will be able to enjoy from the activity! This activity gives you the feeling that your flying as you move along the water attached to a jet ski. If this is what you choose to do with your partner on your anniversary, you will definitely not forget this day! It looks like an incredible experience! Are you and your partner brave enough to give this a go? Have you always wanted to skydive? If you have, make sure you choose a special day to do so! Doing this on an anniversary will be something you will always remember and cherish and it will make the experience even more special than in already is! « Cohabitation, civil partnership or marriage?